The study, published in Environmental Health Perspectives in April 2018 by researchers at the University of Quebec, is not the first to point to a potential link between neonicotinoid exposure and breast cancer. A 2015 study by the same research group revealed that the neonicotinoids thiacloprid and thiamethoxam, along with the herbicide atrazine, induce similar effects in breast cancer cells. In both studies, exposure to neonicotinoids alter promoter activity to induce heightened production of the enzyme aromatase, which is known to stimulate estrogen production and thereby cancer cell proliferation. These findings add to a growing body of scientific evidence suggesting that neonicotinoids cause unreasonable harm to the environment and human health. Neonicotinoids are infamously known for their central role in pollinator decline, but as more and more studies reveal, that is just the tip of the iceberg. Because these chemicals are broad-spectrum insecticides, beneficial soil dwelling insects, benthic aquatic insects, grain-eating vertebrates, along with pollinators are also victims of these systemic chemicals. Even slight deviations in exposure levels take a heavy toll on vulnerable wildlife. University researchers have found that tiny amounts of neonicotinoids are enough to cause migrating songbirds to lose their sense of direction and become emaciated. The newfound evidence suggesting neonicotinoids as potential endocrine disruptors is of particular concern given that these insecticides are ubiquitous in the environment, found across land types and waterbodies, regardless of individual management decisions and practices. A recent study in Switzerland found neonicotinoids in sparrow feathers sampled from all 47 farms studied, including a range of organic, integrated-production and conventional farms. A 2018 study by U.S. Geological Survey (USGS) researchers found neonics widespread in the Great Lakes at levels that harm aquatic insects—the foundation of healthy aquatic ecosystems. With significance at known exposure levels, the newest findings linking neonicotinoids to endocrine disruption and breast cancer highlight yet another unacceptable hazard wrought by pesticide use. Beyond Pesticides holds the position that nothing short of a complete transformation to organic, least-toxic practices can begin to reverse the damage wrought by decades of unchecked poisoning. Stay abreast of new public health findings by reading Beyond Pesticides’ Daily News Blog and Pesticide-Induced Diseases Database. Join the movement to end destructive pesticide use by engaging at the local, state and federal levels to transform our agricultural system. 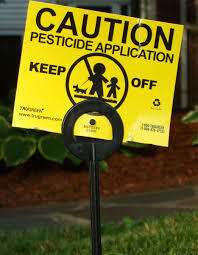 This entry was posted on Thursday, March 7th, 2019 at 12:00 am	and is filed under Agriculture, Breast Cancer, Endocrine Disruption, Imidacloprid, neonicotinoids, thiacloprid, Uncategorized. You can follow any responses to this entry through the RSS 2.0 feed. You can skip to the end and leave a response. Pinging is currently not allowed.